La Gloria Cubana, as the name would make you think, is a cigar company that was once operating out of Cuba. And believe it or not, when it was operating in Cuba, times were going pretty well. They were selling their vitolas all around the world, and they could be found in many of the more higher-end cigar shops. Even back then, they had a reputation for being a darker, more full-bodied cigar, and they haven’t abandoned that kind of thing yet. Of course, the Cuban revolution would ruin this all. In a way, the United States profited wildly from the communist revolt in Cuba; the greatest cigar makers in the country fled, or were eventually exiled, and they all ended up in the United States at some point or another, though some eventually left and founded new facilities abroad in places like Honduras and Nicaragua to make their cigars. Their cigars were available all around the country, and indeed, the world, and we get to enjoy great cigars because of it. And make no mistake, this Coleccion Reserva Robusto is one of those cigars. 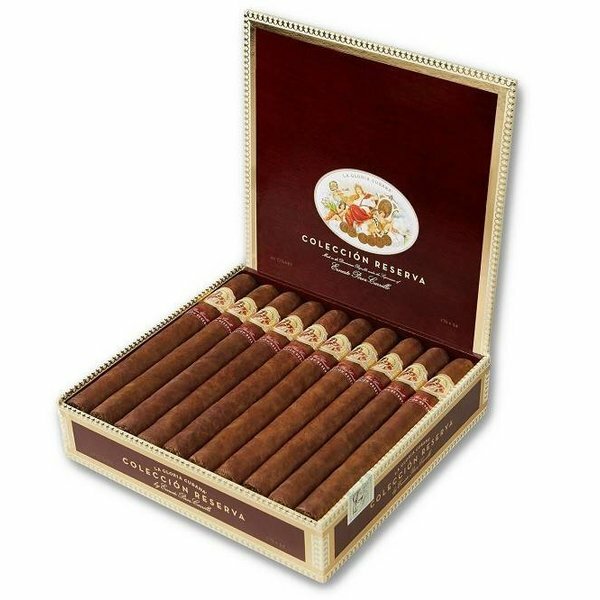 The cigar was made by their founder who hadn’t made a cigar blend in a decade before he made it, and it was made to celebrate the fact that La Gloria Cubana had been operating in their new facility for twenty-five years. The cigar begins with a wrapper, dark and beautiful, the Ecuadorian Sumatra wrapper, oily and delicious, and utilizes some of the best Nicaraguan tobacco from the private stock of the blender. It comes together to make a fantastic cigar that you are going to be able to enjoy for years to come.